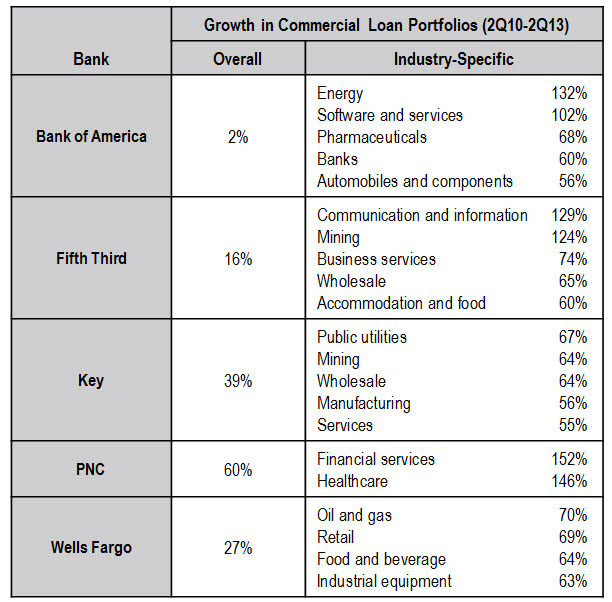 Over the past three years, the commercial sector has been the primary focus for bank loan growth efforts. In 2010 and 2011, strong commercial loan growth rates were generated as the economy recovered from the 2008-2009 financial crisis and subsequent recession. The commercial lending market started to get more competitive (as evident in declining yields), so many banks have turned to vertical industries to maintain and even accelerate commercial loan growth rates. The recently-announced credit card issuing deal between Wells Fargo and American Express highlights issuers’ focus on targeting the affluent market. Over the past two years, Wells Fargo has been successful in increasing credit card penetration of its retail bank households from 27% to 35%. To grow penetration further, the bank has realized that its needs a broader credit card portfolio to meet the needs and usage patterns of customer segments. It has revamped some of its cards and offers, but still lacks a high-end card. The deal with American Express will serve to fill this gap. 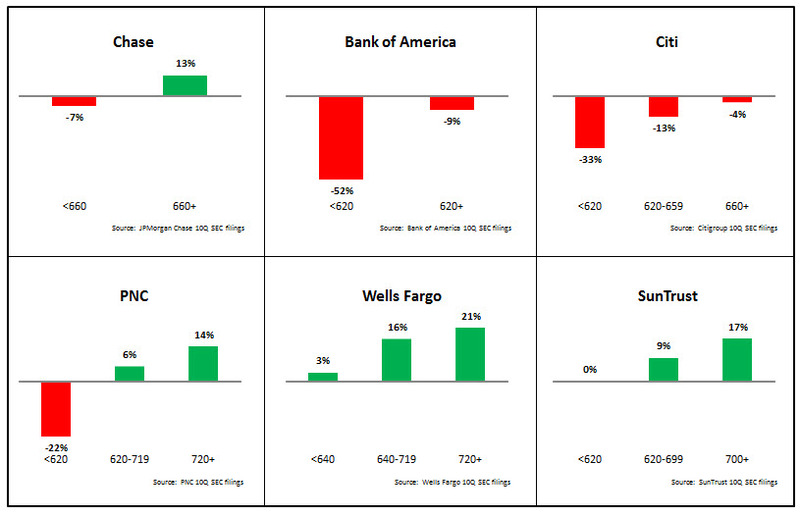 Issuers are now turning their attention to outstandings growth (see our recent blog on 2Q13 credit card metrics), with even the three largest issuers (Chase, Bank of America and Citi) all reporting that the extended period of outstandings decline is coming to an end. However, the scars from the financial crisis will linger, and issuers remain reluctant to extent credit to consumers with low FICO scores (these consumers are increasing being offered alternative payment products, such as secured and prepaid cards). Leverage market and competitive research to develop products and features that are tailored to affluent customer needs and behaviors, and that compete strongly against competitive offerings. Build card positioning and acquisition offers around spending rather than borrowing. Given their spending patterns, more affluent customers are more likely to respond to spend-based incentives (e.g., bonus points, tiered rewards programs) rather than aggressive introductory or go-to interest rates. Develop marketing for the entire customer lifecycle. The traditional focus in the card sector has been on new cardholder acquisition, which has frequently resulted in other stages of the lifecycle being neglected. Issuers should develop a series of communications and offers based on other key stages of the customer lifecycle, such as the first 90 days (activation opportunity) and card expirations (retention and upsell opportunities). Analyze customer spending data to develop usage stimulation offers for cardholders with no/low usage. Develop synergies with other bank units that also serve affluent clients. Traditionally, credit card operations were operations as a separate silo with a bank’s organization. More recently, bank have overhauled their structures and strategies with customers, rather than products, the central focus. And hitherto disparate units (such as credit card and wealth management) are starting to come together to develop synergies in areas like product bundle development, cross-sell campaigns, and two-way referral arrangements.